Through the National Center for Interactive Learning at the Space Science Institute, Overbrook Park Library has been granted the Project Build program. 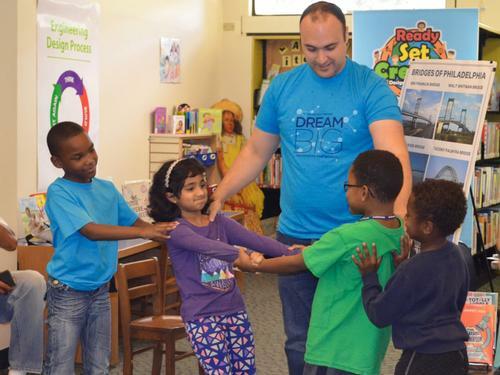 Project Build brings libraries and engineers from the Philadelphia Chapter of the American Society of Civil Engineers (ASCE) together to provide free library programming for students in the 2nd to 5th grades. Overbrook Park Library has already hosted programs on the following topics: Span-tastic Bridges: From Here to There, Designed to Survive: Engineering Disasters, and Clean Up Our World. The next Project Build program will be themed Power From Nature. At this program, held on Saturday, March 23 at 10:00 a.m., children will learn about sustainable energy production. Activities will focus on wind and solar power, and why sustainablility is so important—especially now. This will be the last program for the school year. Don’t miss out on this great opportunity to engage in a free STEM program led by engineers with real world experience! 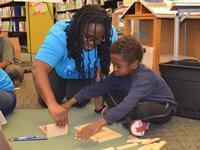 For more information about Project Build and other programs at Overbrook Park Library, please view our Events Calendar. Additionally, keep an eye out for other fun STEM programs at Overbrook Park Library over the summer. If you are intersted in STEM programming and resources but are unable to attend the event on March 23, informaiton about additional STEM programs can be found on our Events Calendar or by checking out some great books on Science, Technology, Engineering, and Math from our catalog.